My oldest sister (Suz) sent Mr. J and Miss E each a birthday present recently and I must say they were very spoilt. Mr. J hasn't stopped playing with his jungle set. 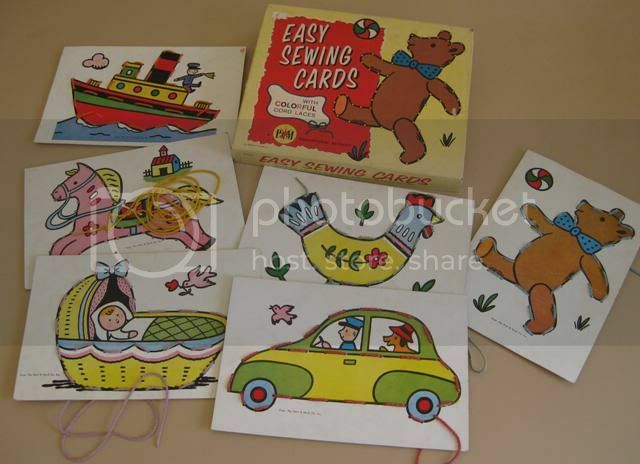 When Miss E opened her present, I immediately fell in love with these amazing vintage sewing cards. I LOVE them and all their vintagey goodness! I don't know how Suz does it, but she always manages to find the best bargains when she's out op shopping.